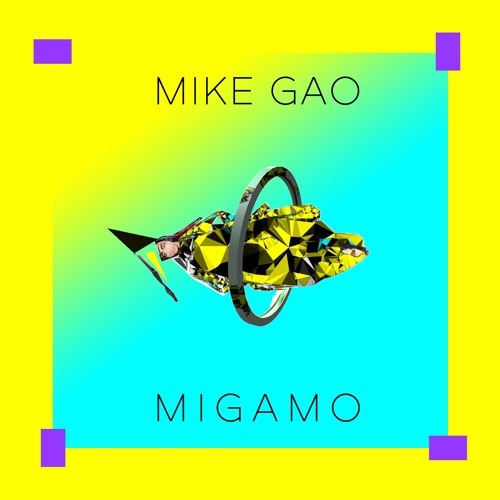 Provocative sounds, intriguing vocals and skillful dexterity come out to play in Migamo by Mike Gao, a Los Angeles-based producer, professional music technologist and PhD candidate. An introvert living in an extrovert's industry, Gao pushes the conventions of hip hop, bass music and beats with his deft approach to music composition. Often collaborating with like-minded musicians like Ta-ku, Mr. Carmack and Tokimonsta, Gao is also an audio scientist who has created his own iOS apps (PolyPlayground and VocalBeater) and plugins under the name Migamo. With rich design and sleek maneuvering, Migamo is a bold slice of modern music. Plunging the album into a chunky beginning, "Pivot" sets an immediate tone of enlightened production. "Just Do You" digs in with a manipulated sound base and ambiguous vocals, while "Thirst (feat. Mr. Carmack)" is a round, juicy jam with exotic appeal. Listen to the layers of Migamo and feel the channels of your brain light up. Buy Mike Gao "Thirst (feat. Mr. Carmack)"
Users who like Mike Gao "Thirst (feat. Mr. Carmack)"
Users who reposted Mike Gao "Thirst (feat. Mr. Carmack)"
Playlists containing Mike Gao "Thirst (feat. Mr. Carmack)"
More tracks like Mike Gao "Thirst (feat. Mr. Carmack)"